Here's the thing. 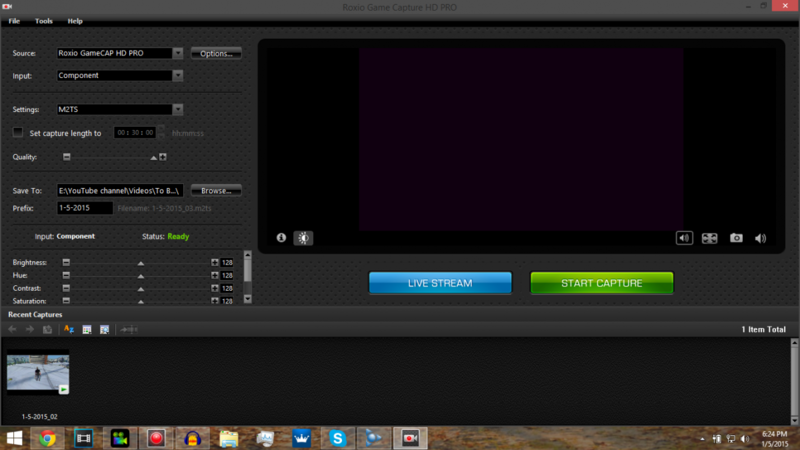 I am up to record the game, everything is all setup. The application says there is a signal and everything records fine, but there is no preview screen. It was working fine yesterday in the same setup, but now the application isn't showing the preview and it's really sketchy whenever I try to record because I don't know if there is any kind of issue with the recorded product until post-record. Also, I run with HD Component cables running into the Capture Card, and an HDMI running out, it works fine except for the fuzzy, sometimes-wavy lines that appear on the screen and are most obvious in dark scenes. But it doesn't happen all the time either. Final issue, everyone once in a while, the application will do what I call a "default" and set itself back to 480p, which alone has ruined several recordings. So, for all of the issues listed are there solid solutions for each of these. *The picture shown below is the representation of the first problem, which is the most recent and most troubling*. Set everything in your video card software to default and check it after a reboot.